Yautja Prime is the mysterious Predator homeworld which has been shown little in the movies and comic books. The information we do have is somewhat conflicting, mostly about the distance from Earth and the appearance of the surface. Here is a list of all notable references to the Yautja Prime, including the appearance in Aliens vs. Predator: Requiem and the Predator: Homeworld comic. The most substantial appearance of Yautja Prime comes from the Aliens vs. Predator: Requiem movie, which is probably also the best part of the movie. We are shown a hot planet with flowing lava and no vegetation. Being a planet with hot climate makes sense as the Predators love to hunt during the hottest periods on Earth. The planet seems to have a rough terrain with canyons and mountains. There are big stone structures in the background, including pyramids similar to the ones seen in the first Aliens vs. Predator movie on Earth. In the far background, we see tall buildings, possibly a Predator city with skyscrapers. A couple of Predator spaceships are visible on the surface, including Wolf's ship. Wolf himself seems to live in some kind of penthouse-like apartment with a nice display of trophies and quick access to his equipment and trophies. Wolf is able to travel from Yautja Prime to Earth in a matter of hours, probably due to his very fast ship. The Game Preserve Planet is the planet or moon on which the movie Predators take place. It is a jungle world with an atmosphere and vegetation similar to Earth. The Predators are known to bring humans and other prey to this planet for hunting. The planet seems to be close by or being orbited by other planets, one of which could very easily be Yautja Prime. 2 of the 3 planets shown in the movie are quite similar to what we see in Aliens vs. Predator 3, including the cloud asteroids surrounding the planets. It makes sense for Predators to be allowed the luxury of hunting near their home planet, with humans being kidnapped from Earth for their pleasure. Some fans have speculated that the Game Preserve Planet is the actual Yautja Prime itself. The Predator planet shows up briefly in the recent The Predator movie by Shane Black. Through the bio-mask of the Upgrade Predator we are shown a hologram of a red planet and a Predator laying on a table with four other Yautja observing him. The Predator is being injected with an upgrade serum which triggers a rapid DNA reaction. The movie also hints that the Yautja are interested in invading Earth because of the planet becoming more attractive to them due to global warming. They want to harvest our best DNA and adapt themselves to Earth. 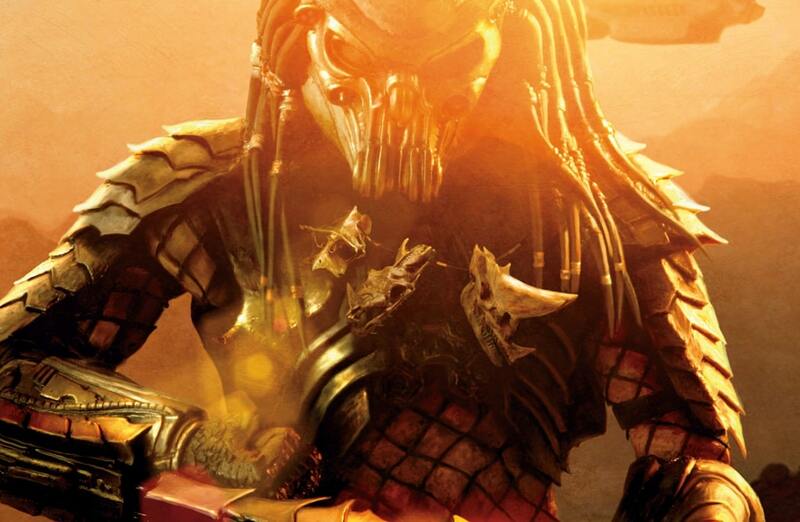 The Predator: Homeworld comic offers us a quick glimpse at the Predator homeworld. Again, it seems to be a rock-based planet with little vegetation. The planet has two moons, a green one, and a red one. The Predators themselves live in simple tribal communities similar to Native Americans, in caves or simple structures. The characters in the comic speculate that the original homeworld of the Predators was actually Earth. They evolved on Earth swamps from reptiles and left the planet to seek a new home. That would explain why the Predators are somewhat similar to both humans and the reptiles of Earth and have a fixation on hunting on Earth. Predator: Forever Midnight is a conflicting book released by DH Press in 2006. It ignored the Predators being called Yautja (like in the first Aliens vs. Predator novels) and called them Hish-Qu-Ten instead. The book explains a lot about the Predator culture and also some their homeworld. The Hish-Qu-Ten homeworld is said to be full of swamps, and the Predators evolved from swamp creatures. Some fans just choose to ignore this book, others consider the Hish-Qu-Ten to be another offshoot of the Yautja, just a different type of Predator. The Hish-Qu-Ten make another appearance in the Mortal Kombat X video game, as playable characters. The awesome cover of the book hints at the Predator homeworld in the background, although it is more similar to the Yautja Prime we see in Aliens vs. Predator: Requiem. Yautja Prime is mentioned at the end of the Rage War Trilogy. It is explained that Predator warriors are required to make a pilgrimage there at least once in their lifetime and that is a great honor for them. The planet is supposed to be very far from Earth and would take several months or even years to travel there using multiple dropholes (basically galactic space-gates). The book takes place in the distant year of 2692 and both human and Predator technology would be much more evolved by then. That is in conflict with what we see in Aliens vs. Predator: Requiem where Wolf is able to travel to Earth from Yautja Prime in mere hours in the year of 2004. Want to know more about Predators? Check out the list about the best Predator Comics and look over the different Predator Spaceships.